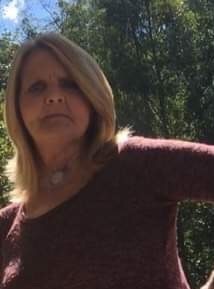 Lucinda "Cindy" Kay Emrick of Vicksburg, MS gained her heavenly wings Thursday, January 31, 2019, at University of Mississippi Medical Center. She was 54. All that knew her would agree she was always the life of the party. She loved life and always lived it to the fullest of her ability. She is survived by her parents Leon and Bobbie Nevels; sister, Barbara Acuff (Jimmy); brothers, Larry Nevels (Paula) and Gary Nevels; three children, Mistie Davis, Trinity Emrick (Nikki and children) and Destiny Emrick; four step-children; four grandchildren, Hayden Guillot, Conner Emrick, Emma Davis and Lyndon Davis; her sisters, Peggy Cousins(Tommy), Angela Nevels, and Cathy Huges; her brothers, Elvin Nevels, Dickie Nevels, Jimmy Dale Nevels and Jerry Nevels, and multiple nieces and nephews. Funeral services will be at 2:00 p.m. Saturday, February 2, 2019 at Glenwood Funeral Home. Visitation will be from 12:00 p.m. until the hour of the service. Burial will follow in Cedar Hill Cemetery. Pallbearers will be Trinity Emrick, Kurt Tippen, Tommy Cousins, T. J. Shamblin, Jamie Acuff, Jason Morson and Lyndon Davis. Honorary pallbearers will be Braxton Morson, Elvin Nevels, Larry Nevels, Brayson Morson and Gary Nevels.